Southern Dunes Golf and Country Club is a private walled development with stunning landscape just south of Orlando. With a heated pool, was built to the highest specification. In the quiet residential community of Southern Dunes Golf and Country Club. 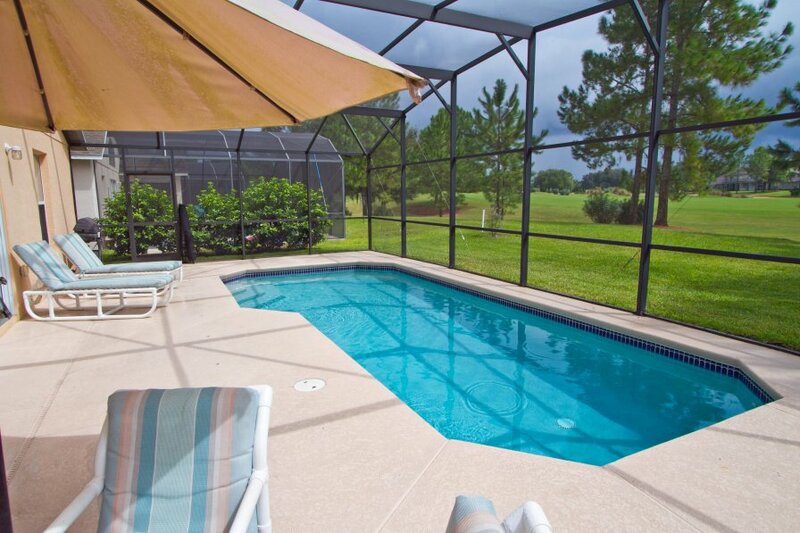 Located South of Orlando, it is situated overlooking the 4th hole on the golf Course. Ideally situated within walking distance to the Golf and Country Club house, large communal pool, heated private pool, tennis courts, gymnasium and childrens play area. Walmart and resteraunts within 5 mins walk. The villa is also ideally located to all the Disney and Universal parks. Including Legoland, Sea World, Volcano Bay and many more. A short drive of around 30 minutes is all that’s needed, making our villa the perfect family holiday. Fully air conditioned and very spacious. Living space consists of a lounge, dining area, nook and breakfast area, kitchen, 2 twin and 2 double bedrooms - one with on suite, double garage and large screened pool. In addition to the heated swimming pool the house has a games room which has full size table tennis, pool, fooseball and air hockey and also a dart board with electronic score board. Overlooking the 4th hole on Southern Dunes Golf Course with a south facing garden.